We like to give members an opportunity to financially support the Congregation by levering dollars offered by these community partnerships. Please inquire if you have any challenges getting any of these set up. Thank you for your support! 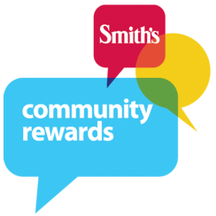 You’ll start earning rewards for UUCLV on qualifying purchases made using your Smith’s Rewards Card. iGive is another opportunity for you to support the UUCLV. Do your shopping like you usually do and participating stores will rebate a few cents to UUCLV on your behalf. The donations are tracked by your email address, otherwise anonymous if you want them to be. Go to the web site address just above this paragraph and download an “iGive Button,” an add-on to your web browser. Easy to install and uninstall, it automatically kicks in when you’re at a participating store site. Or, just start your shopping trips by going to their web site, www.iGive.com, it’s a portal for the participating stores. Remember, you can also let your internet searches donate pennies to the church. If you follow the link above, you can register and download the application to give the UUCLV credit for your searching the internet via Goodsearch browsers. Say good-bye to shopping that's bad for workers and the earth. Say hello to the Good Buy. It's time for sustainable living. Purchases help fund human rights programs around the world administered by the Unitarian Universalist Service Committee. 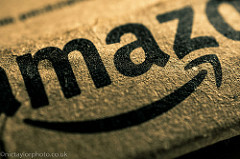 UUCLV has established a business relationship with Amazon.com, the world’s largest retailer. In exchange for the placement of an Amazon Store on our web site, UUCLV will receive money back, in the form of rebates in proportion to the amount of sales, via our shopping portal. All you have to do is shop like you normally would, but through the Amazon portal page on this web site or clicking on the link above this paragraph. The purchase amounts will be credited to UUCLV without other information being shared with us.